Her work is beautifully delicate. I’ve been a huge admirer of Lucinda’s work for a fair few years now. 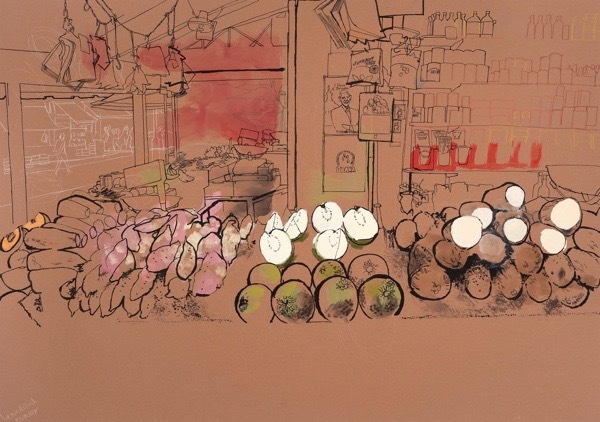 Her line work is beautiful, lively and sensitive, I also love the way she picks out so carefully certain areas in colour. Great draughtsmanship brilliantly observed. I only wish I could afford one of her originals, or even a limited edition print. 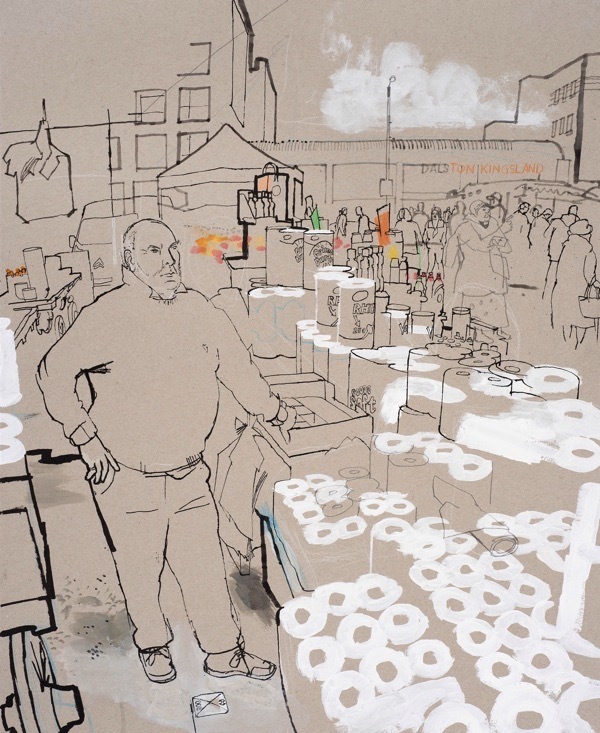 This is a really wonderful exhibition of the rich and fascinating life of Ridley Rd Market that Lucinda’s remarkable drawings record in such an intimate way. Everyone should visit the exhibition it is filled with such vibrancy you feel you are in the market itself. Economy of line combined with a fragmentary use of colour works wonders here. Lucinda’s perceptive observations of the East End capture moments that are usually overlooked. Those are Wonderful Paintings! Thank You Very Much! 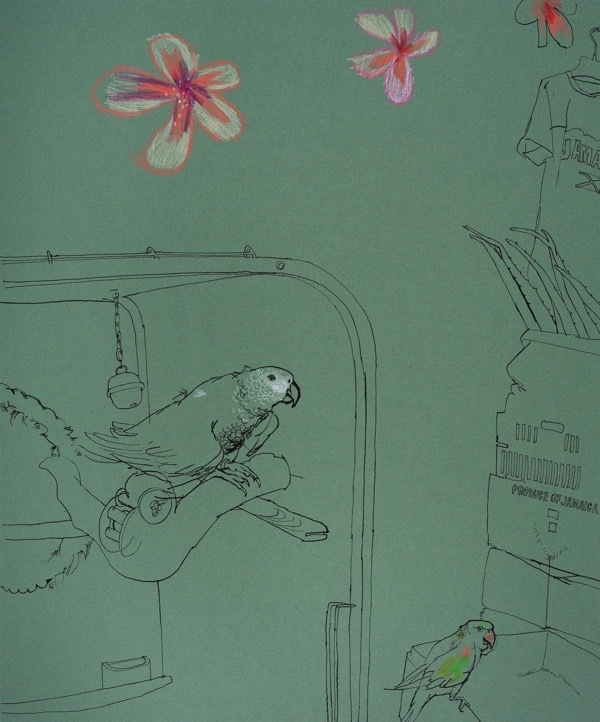 A wonderful style of drawings, very delicate and expressive. Lucinda’s work is exceptional. 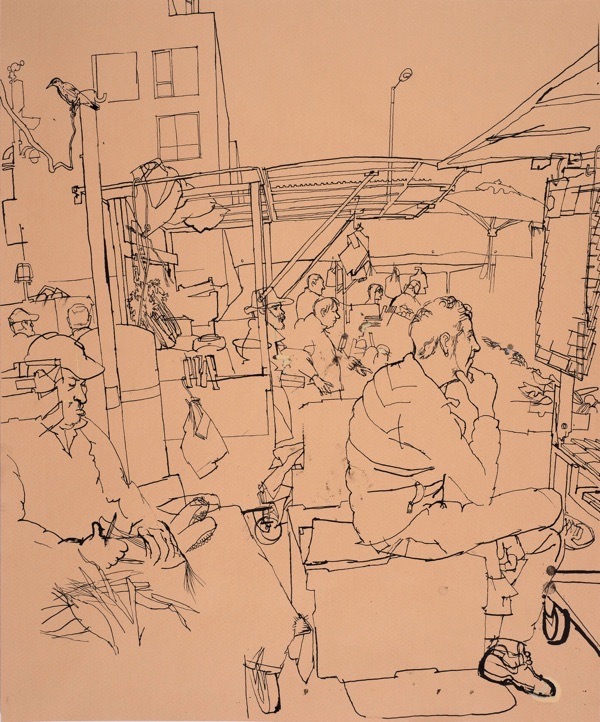 She really captures the liveliness of the market with her seemingly spontaneous line, totally spot-on and never over-worked. Kudos!